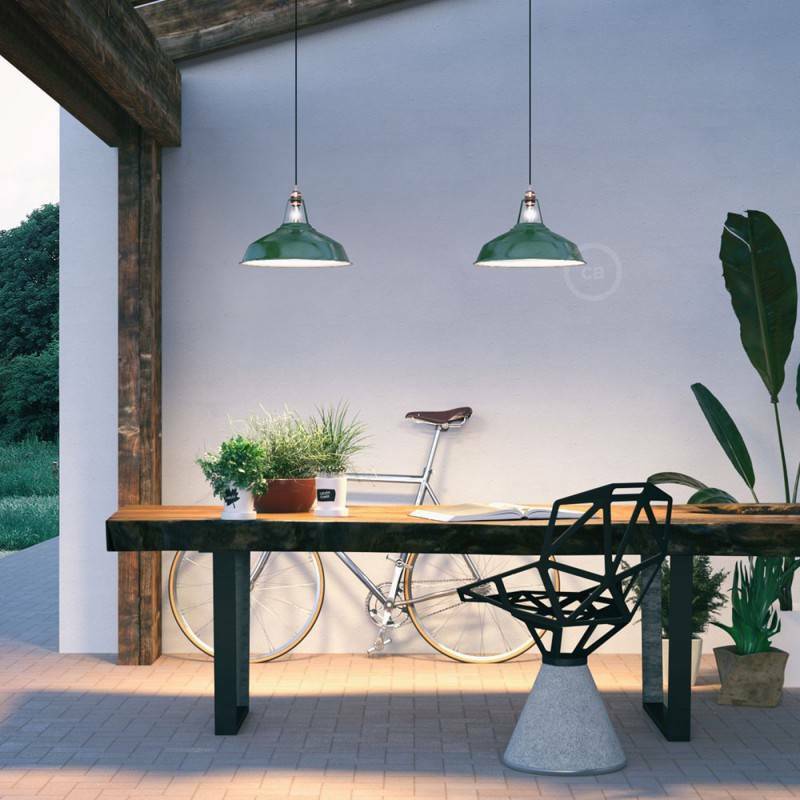 Welcome to Creative Cables - Designer Italian Lighting & Lamp Parts for the Creative! 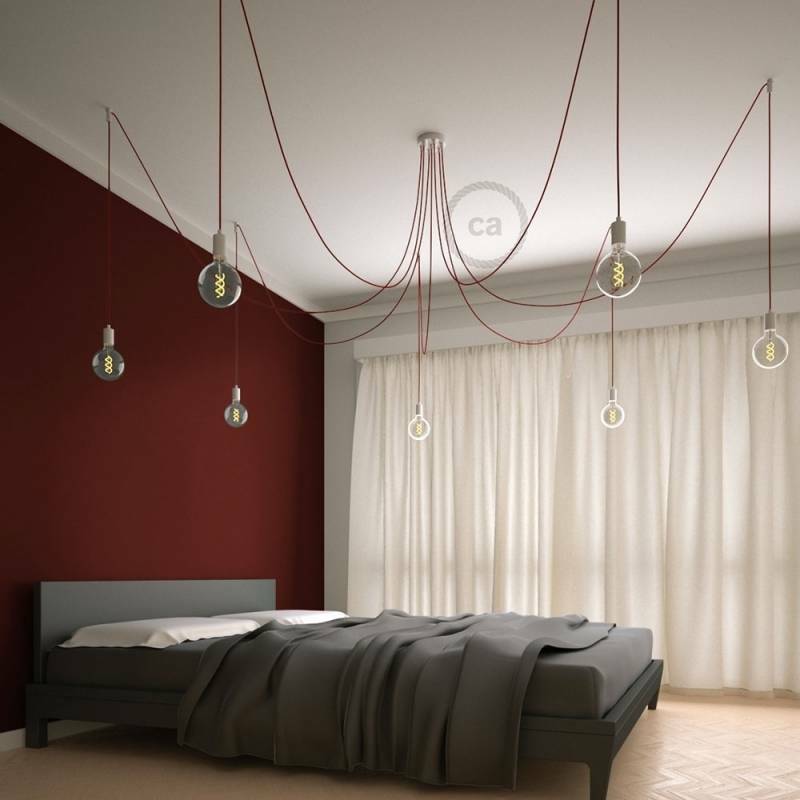 Discover a world of custom lighting, lamps, light shades, lamp parts & pendant lighting by Creative Cables. Our goal is to allow you to be able to configure and make your own lighting that is customized to you or your client’s tastes and home & office decor needs. You’ll find that we offer a a vast and constantly updated selection of lighting, cloth covered wire cables, lampshades and lamp parts. You can use our lighting and lamp parts to make your own lighting that will be unique to you and your needs. With our products you’re able to make a statement lighting piece that showcases your creativity and looks exactly as you imagined it. The possibilities are endless for what you can create! We’ve worked with designers, architects and lighting engineers from around the world to help them create imaginative lighting designs that have been the focal point in homes of some of the world’s biggest stars; graced boutique hotels rated among the top 5 by Conde Nast; and seen by millions in shows on television networks such as HGTV & DIY Network. The reason we’ve been lucky enough to see our lighting chosen for use in these amazing places is because our lighting and lighting supplies offers the ability for our customers to express their individuality through complete customization. Now it’s your turn to build your own light that meets your needs and design aspirations. Here is how you use our site to start designing the light of your dreams. Exclusively made just outside Torino, Italy in our small family-owned factory, our fabric covered cables are simply the best in the world. You can choose from hundreds of combinations of colors, patterns, materials and sizes. Looking for a specific color of cloth wire for your project? Just click on “Color Finder” at the top of our site and you’ll find over 120 choices of colors to choose from. 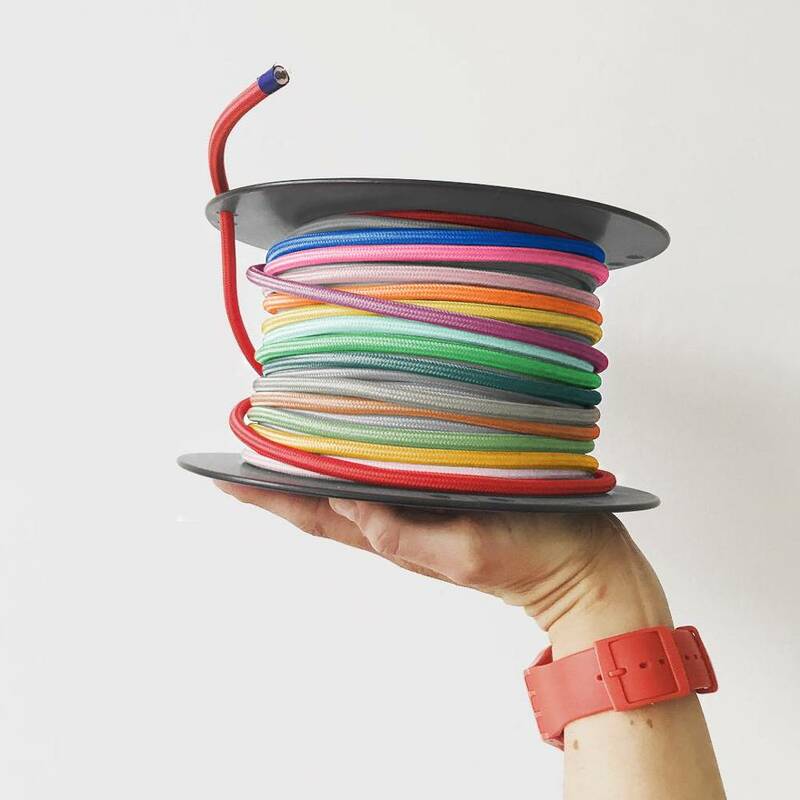 And if you need something that isn’t shown that’s no problem, we have the ability to create a cloth covered wire for you in any pantone color you need. Working on a project that needs UL Listed cloth covered wire? All our three-wire round fabric cables are UL Listed. And don’t be fooled by others who make this claim. To be completely compliant with UL Standards cloth covered wire has to not only use UL Listed wire on the inside, it also has to be re-tested and certified after the fabric cloth has been spun over the wire. We are one of a select few manufacturers of cloth wire in the world who meet these standards and can say that our product is completely UL Listed. 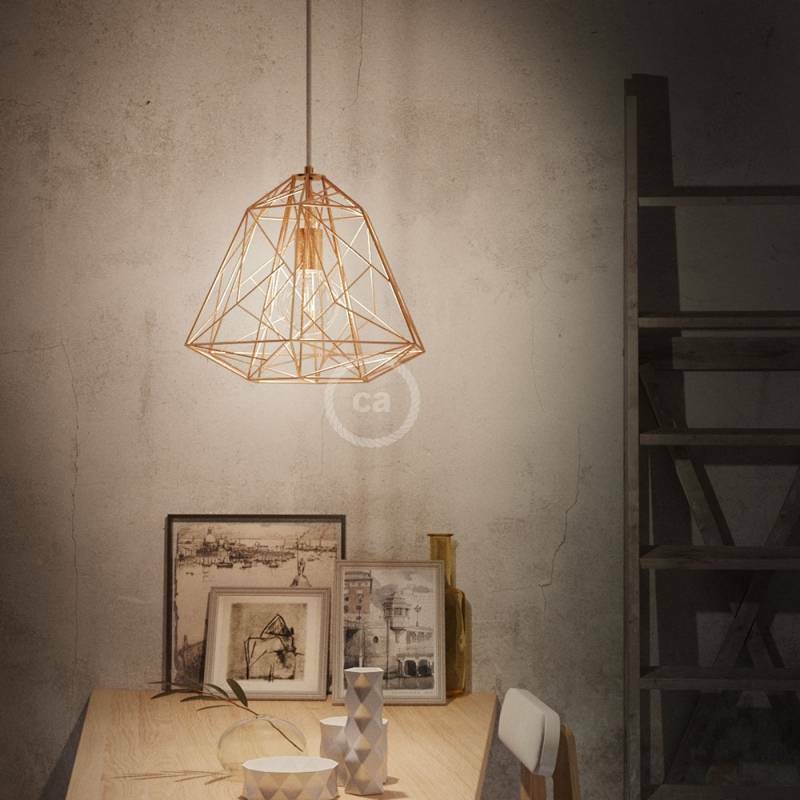 But you won’t be limited to just our UL Listed cloth wire for pendant lighting. We also offer rope wire, made in factory out of jute, cotton & rayon, that has wires hidden inside. 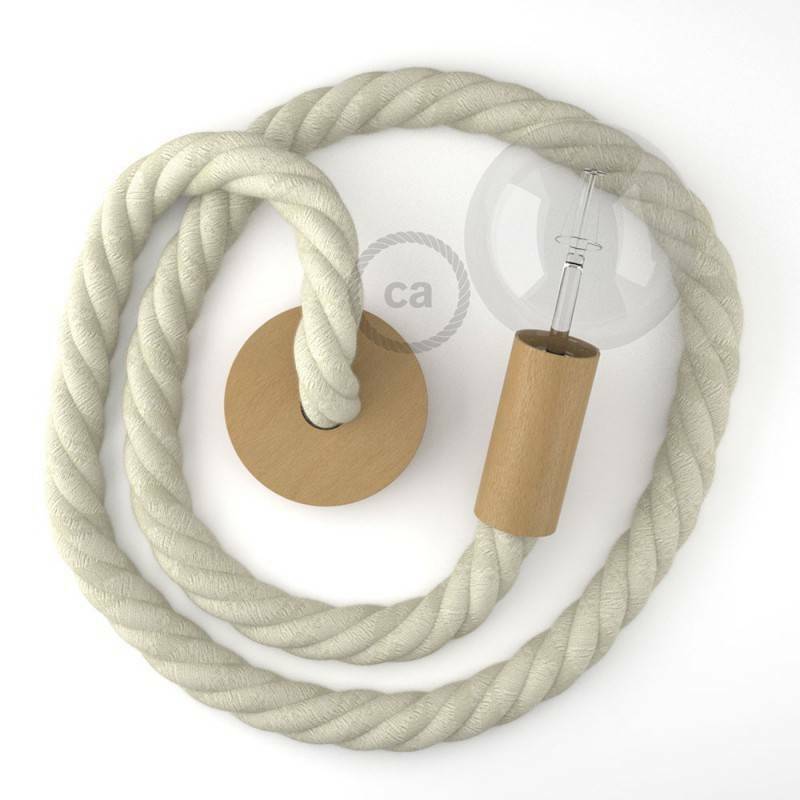 With a diameter ranging from 16mm to 30mm you can let your creativity flow in designing anything from shabby chic to farmhouse or nautical style lighting using this rope with electrical wire hidden inside. 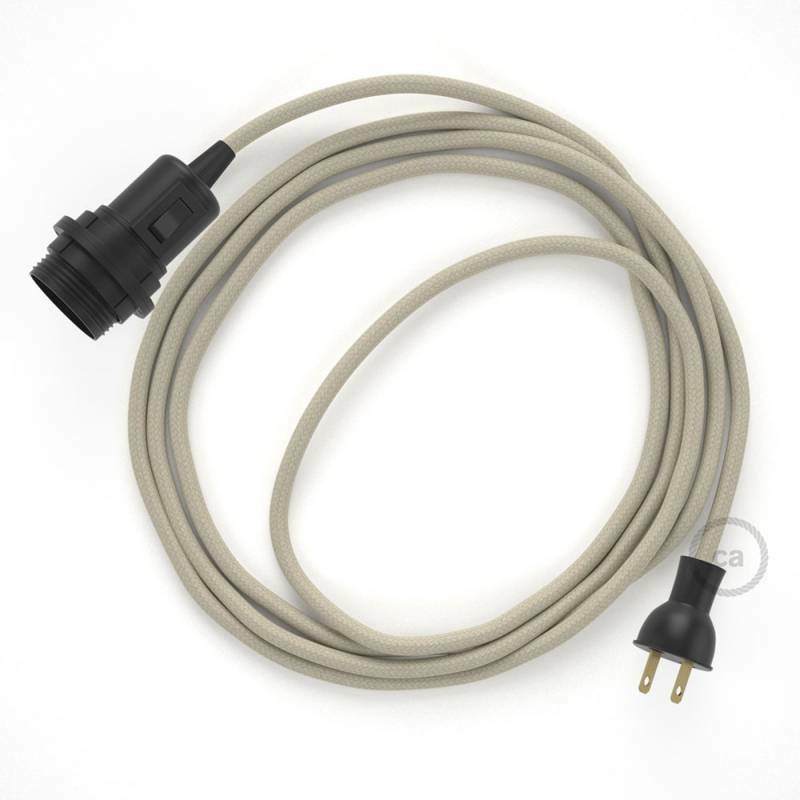 A cloth covered wire that is unique to Creative Cables is our String Light Cables. These allow you to make custom string lights. Forget the boring old black rubber string lights where you are limited to one color and the placement of the sockets are already pre-set. Use our fabric covered String Light Cables to bring color and light to any place where you’re looking for style. This wire runs up to 82 continous feet (but can be lengthened with our special attachment) and allows you to place a light socket lampholder anywhere you want. You’ll be able to create perfectly spaced beautiful outdoor lighting wherever you want. Just combine our String Light Cables with our String Light Sockets, String Light Hooks and Round Rubber Plug. Another unique lighting solution offered only by Creative Cables is our Creative Tube. This is a flexible fabric cloth covered conduit that you can use to replace traditional metal conduit. Working in an industrial space where your wires run on the outside of the wall? Run your wires inside of our Creative Tube fabric covered conduit and bring color and style to the space. You’re going to need more than just cloth wire to make your own pendant light, chandelier or lamp for you or your client’s table or wall. That’s why we have a whole category devoted to DIY Components for lighting. This is where you will find all of the components that make your light special. You can select from 54 varities (and counting) of metal ceiling canopies (aka ceiling roses or rosettes) to create everything from a single pendant light to a customized seven hole swag pendant light chandelier. Or you can choose from one of our many wooden ceiling canopies that work perfectly with our rope wire. And while one end of your cloth wire will be connected to a canopy, the other end attaches to one of our sockets. 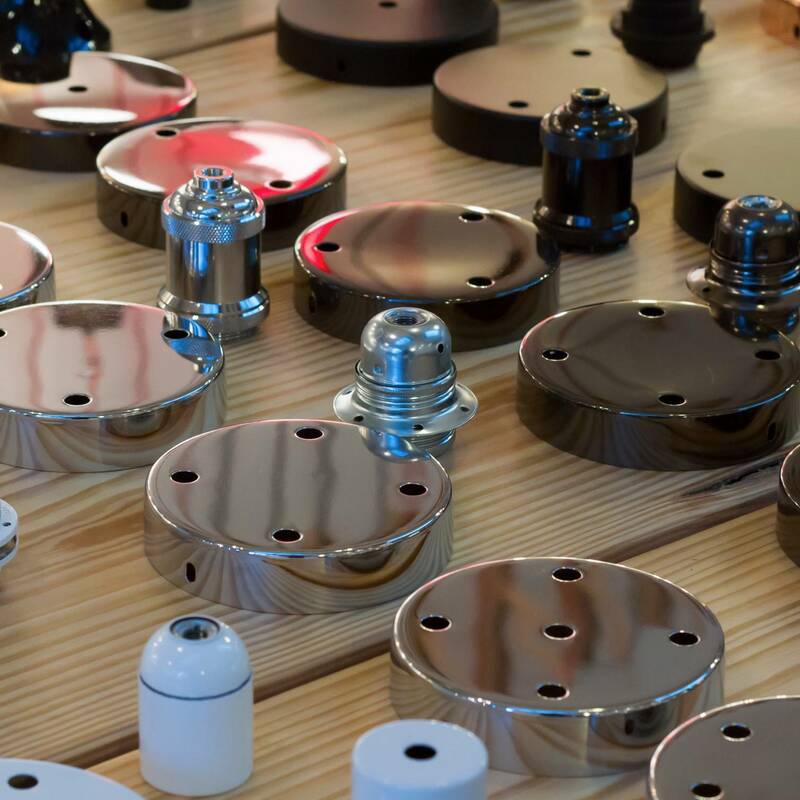 We have metal socket covers, wood socket covers, double ferrule sockets, phenolic bakelite sockets, thermoplastic sockets and more. 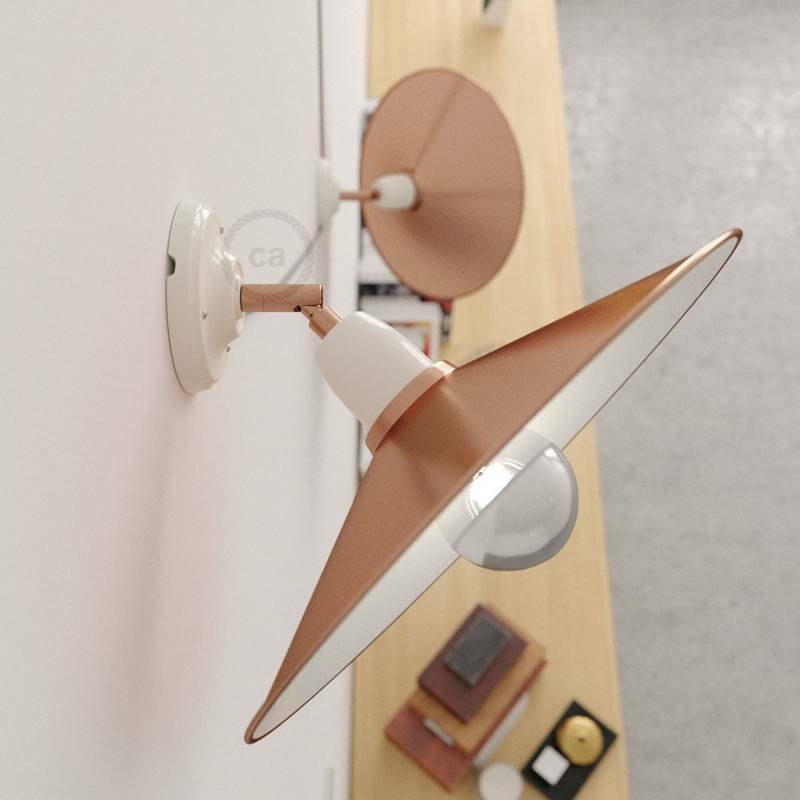 Whether you are looking for a sophisticated and elegant “rose gold” copper socket or a rustic bakelite socket with ferrules to hold a lampshade, we’ve got you covered. Mix and match with our cloth wire and canopies and there are, quite literally, thousands of options to design your own lighting. In this section you will also find all of the small lamp part accessories that work to pull your creation together. You’ll find retro antique style plugs that are perfect for making your own plug in pendant lights, as well as in-line switches and electrical clips. 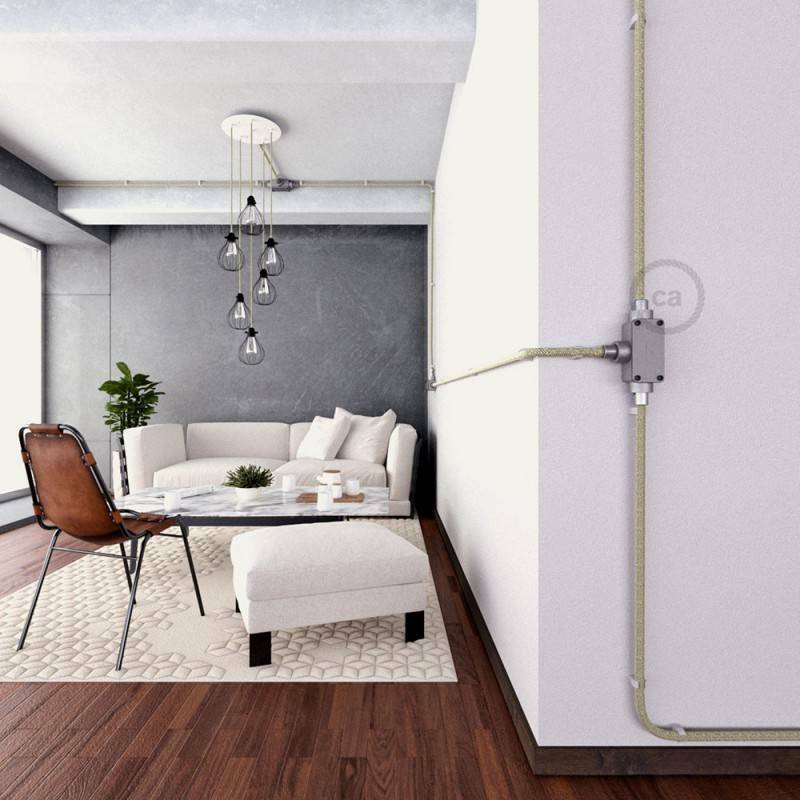 And don’t forget to check out our “Other Accessories” section as this is where you’ll find extension pipes and elbow pipes for lamps that you can connect to our sockets or ceiling and wall canopies to make your custom lighting standout. And we can’t forget perhaps the most popular item that we offer - Our Swag Hooks. 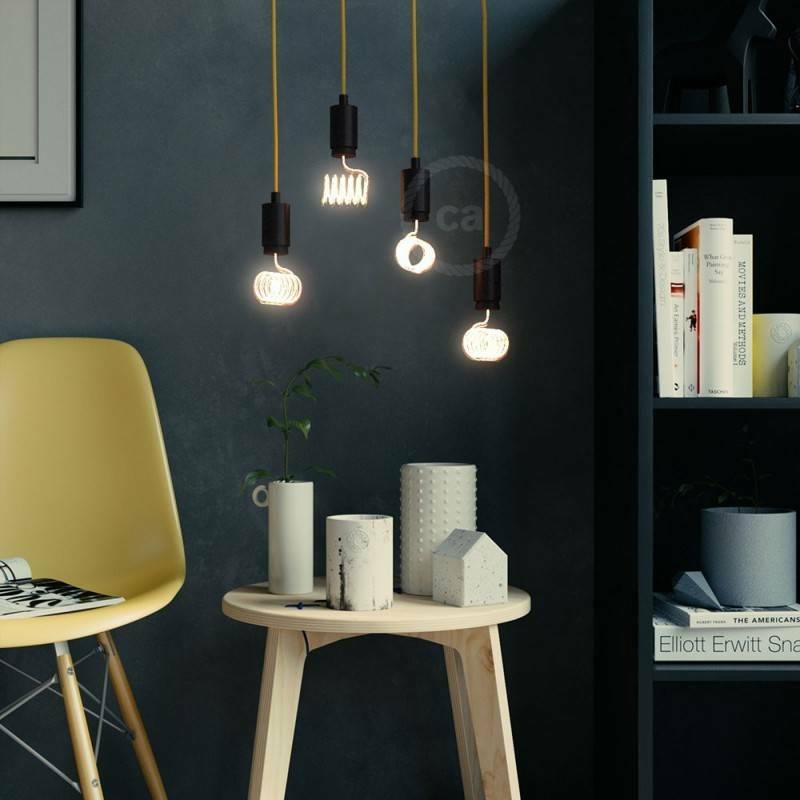 These are perfect for pendant lighting and bring minimalist style and design to your space. We have two different types of swag hooks and a wall attachment fairlead that you can choose from in either white, black or clear transluscent. These can attach to your wall or ceiling and make the perfect swag hook for pendant lights, grow lights or any lighting design. 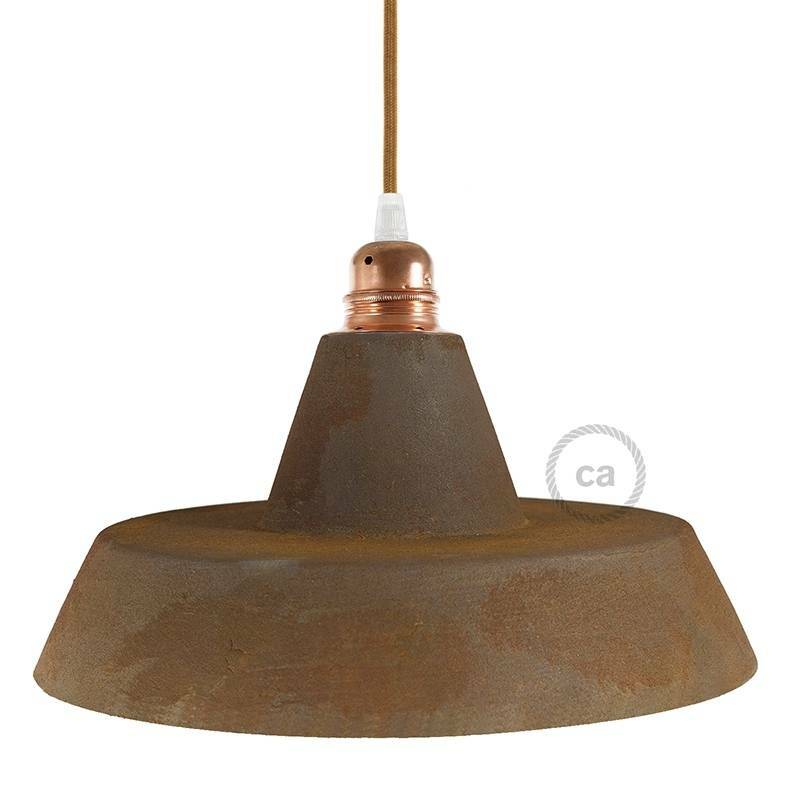 Hidden under our DIY Components category, you’ll find all of our pendant light shades and more. With 144 different types and styles of lampshades we have unique shades to match the look you’re trying to achieve. 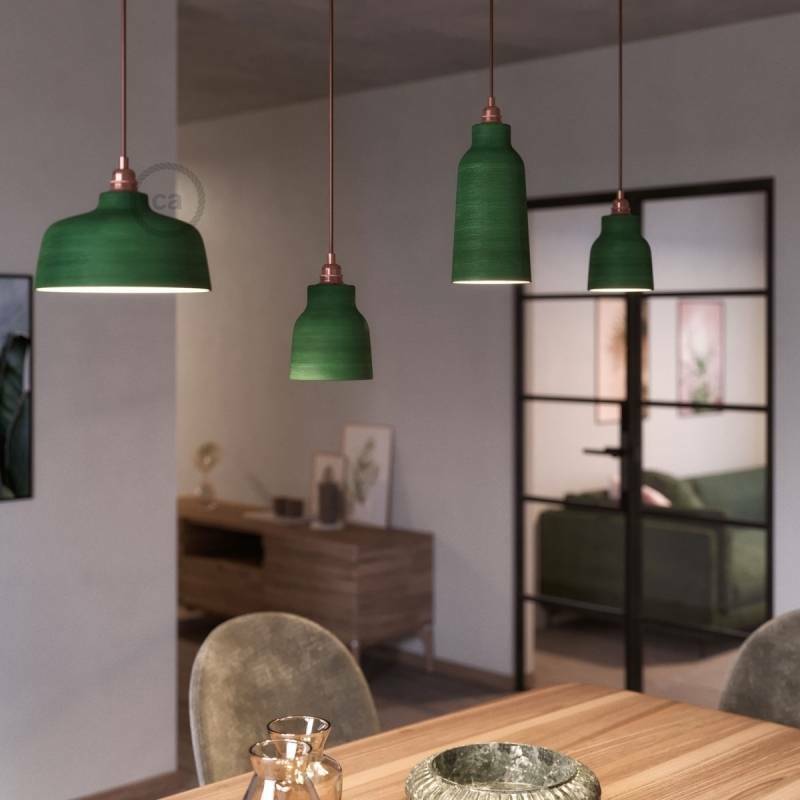 From metal light bulb cages, round ball shaped light shades, bistrot style lampshades to ceramic bell shaped lampshades and custom Italian designer series art pendant light lampshades you’ll find an amazing variety. Our lamp shades are the highest quality shades available. 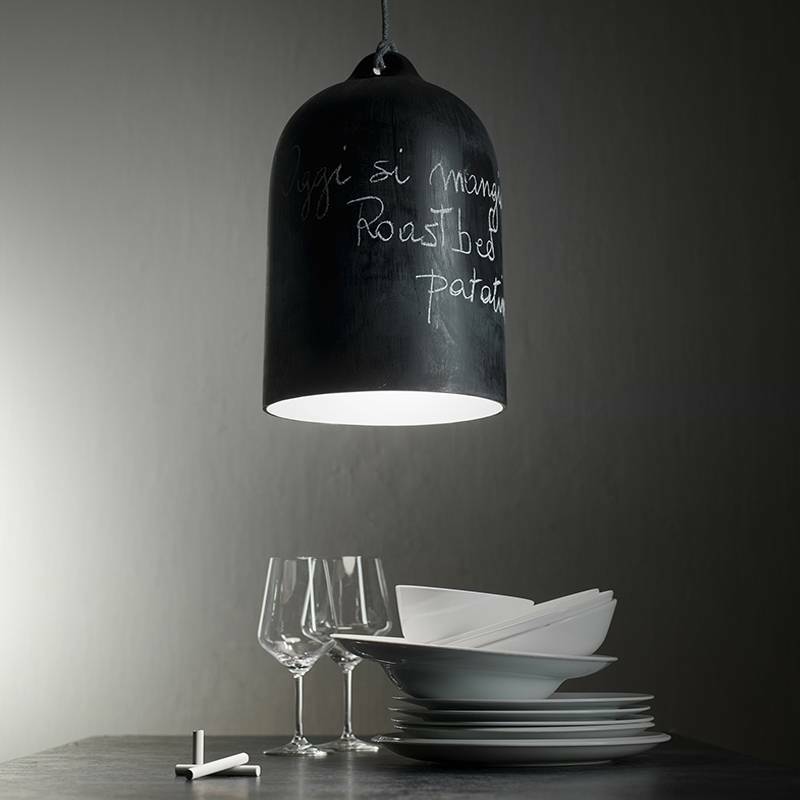 And you won't find a better selection of pendant light shades anywhere. So far you’ve been reading about all of the diferent types of lighting you can create on your own, but Creative Cables doesn’t just mean DIY lighting & lamp parts. Under our Light Fixtures section you’ll find a wide range of already assembled and ready to use light fixtures. We’ve worked with interior designers and architects to come up with these designs that allow you to press the easy button and order an already designed and assembled light for your space. - Spider Light: This is our swag pendant light chandelier that comes with either 5, 6 or 7 pendant lights attached to a canopy. - Posaluce, Fermaluce and Spostaluce: Our collection of table lamps, ceiling lamps, and wall lamps come in metal, wood or porcelain and can be equipped with a lampshade and come even in adjustable variety. - Snake Light: A plug in pendant light that has everything you need to just plug in and get illuminated. 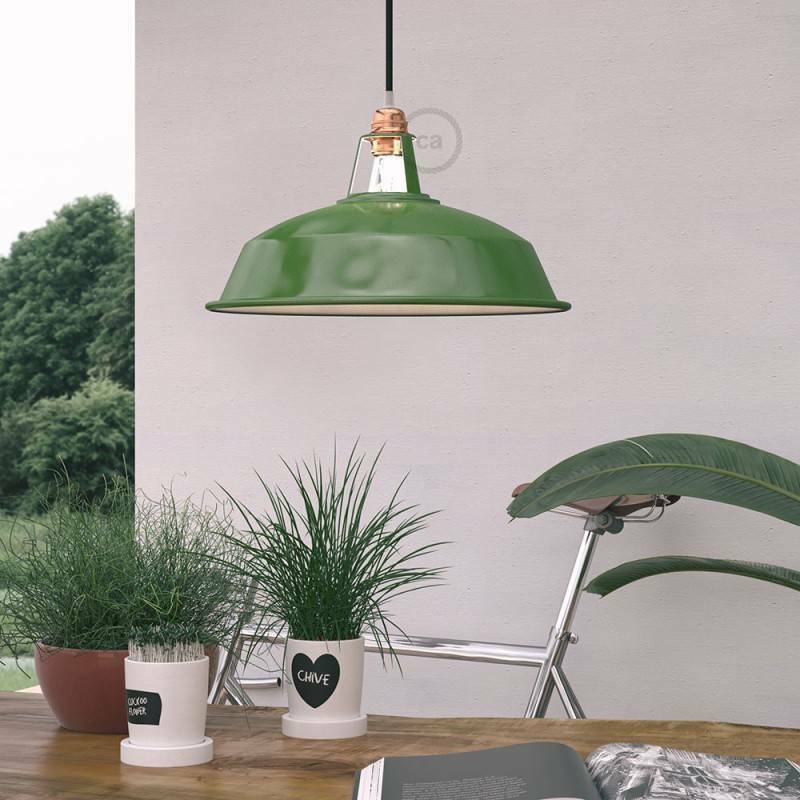 The reeady plug in pendant light is great for use as a ceiling, wall or table lamp. If you’re reading this then you’re like us and think that light is a serious matter! No light installation or fixture is complete without the right light bulb! In our Light Bulb section you will a variety of light bulbs in different shapes and styles. Our Art Line LED bulbs offer a glassless LED bulb in fun shapes such as hearts and clouds. And our LED flower vase bulbs are always among our most popular sellers. Besides these styles we offer many special shapes, XL sizes and uncommon colors as well as bulbs with crazy filaments. 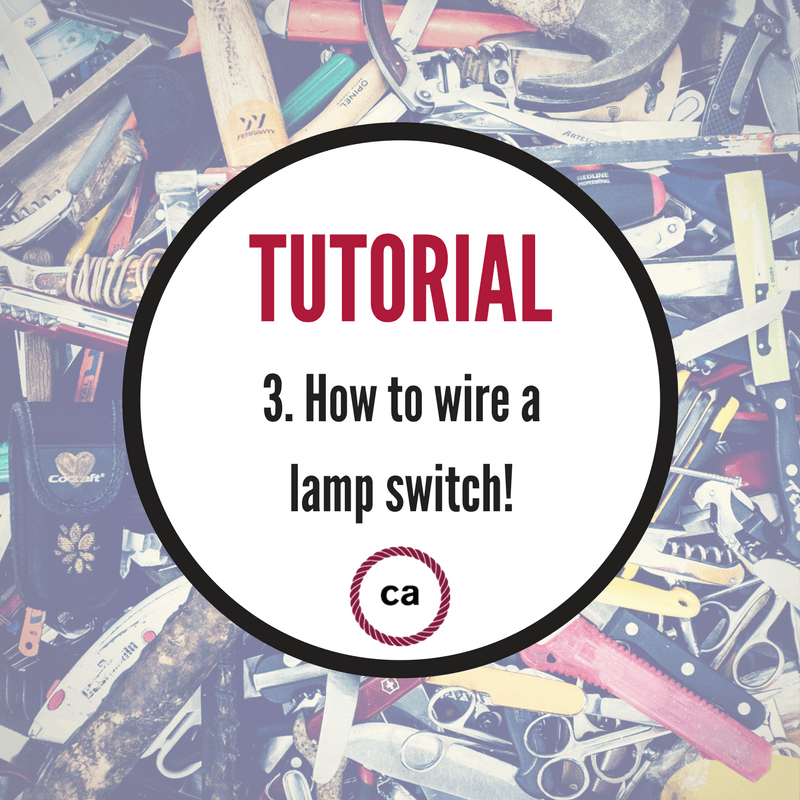 In our Blog section you’ll find tutorials and videos that show you things such as how to make your own pendant light, how to wire a light socket, and how to cut cloth wire without fraying it. Our instructions and videos found here help explain how to install and use Creative Cables lighting and lamp parts. We want you to be a part of our amazing journey. That’s why we also love to showcase the lighting styles and designs from you our customer. Under the Be Creative section we show examples of the lights and lamps that you’ve made from using our lighting supplies and lamp parts. And we’re always looking to grow this section of our Blog. After you finish your lighting creation send us a photo at becreative@creative-cables.com and we’ll share it here and send you a voucher for $20 to use here on our website. Are you a Designer, Architect or in the Lighting Industry?